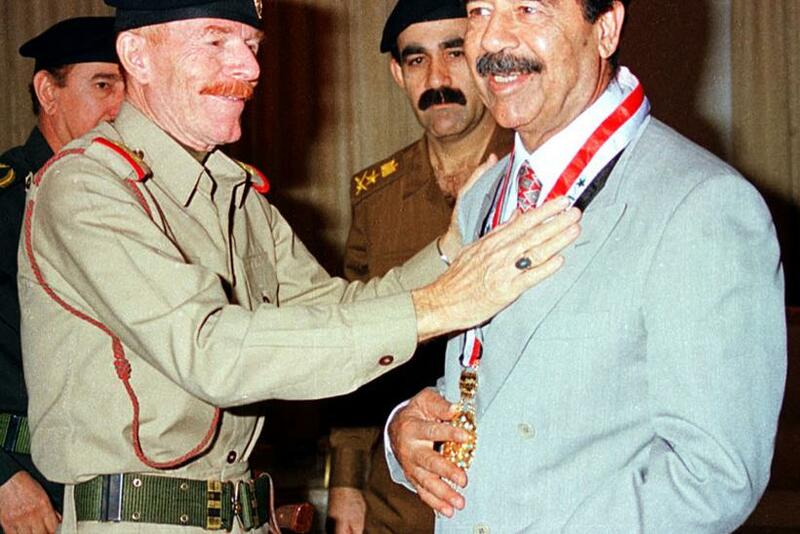 A former top aide to Iraqi dictator Saddam Hussein has been killed in fighting in Iraq, officials there said Friday. Izzat Ibrahim al Douri, 72, had long been wanted by the United States after the ouster of Saddam in 2003. He was said to have helped the rise of the Islamic State militant group in Iraq. Al Douri was reportedly killed during an operation by Iraqi government troops and allied Shiite militias, Reuters reported. Raed al Jubouri, governor of Salahuddin province north of Baghdad, called al Douri's death "a major victory." He said DNA testing would be conducted on the body to confirm that al Douri had indeed been killed. Previous reports of al Douri's death or capture have surfaced in the past decade or so, but this one was said to be the most credible, the BBC reported. The Saudi news channel al Arabiya showed an image of what was reportedly his body. The head of the provincial council in Salahuddin, however, said al Douri's death had not been confirmed, Reuters reported. Other officials said they were fairly certain of his death but were awaiting confirmation through medical testing. Al Douri was the leader of the Naqshbandi Order, an insurgent group, and has been called a mastermind behind the rise of the Islamic State, also known as ISIS. "For sure this will have an impact on them," said Jubouri, the provincial governor. The Naqshbandi Order was formed in 2006 as part of the Sunni insurgency that arose after the U.S. invaded Iraq in 2003 and toppled Saddam Hussein. According to research by Stanford University, members of the group may have provided "critical assistance" to ISIS, and "Al-Douri himself may be acting as a commander of ISIS forces." It also noted that the rapid rise of the Islamic State in Iraq in 2014 probably was made possible by help from al Douri's Naqshbandi Order.